We have DVDs and posters available, for use in GP surgeries and similar health settings. The DVD (with both the English and Urdu films) can also be used as a training tool during Protected Learning Time (PLT) or similar. Please be in touch to order a batch. You can also download the poster here. The films are suitable to share with both medical colleagues as well as patients. There is more info in the UK Department of Health Green Book, Chapter 18 - Hepatitis B. Organisations such as HCV Action are aimed at medical professionals, providing relevant resource materials and reports. 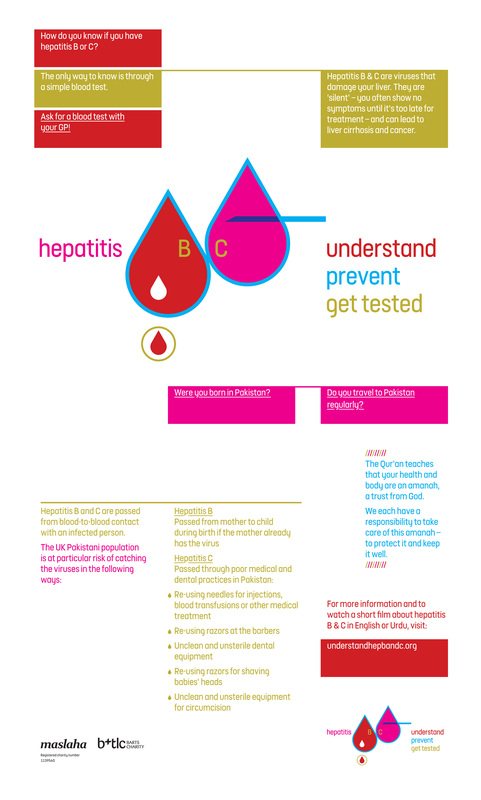 The WHO released new guidelines on the diagnosis and treatment of people with hepatitis C in April 2014, available here. Support the World Hepatitis Alliance's campaign, Think Again, to spread the message through social media posts. To sign up and for more information, click here. For further reading and organisations, click here.